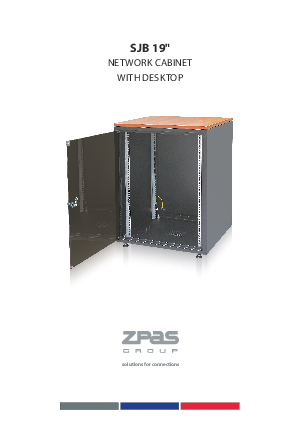 • SJB 19 cabinets are perfect solution for small network systems installed in offices. • The design of the cabinet is based on a self-supporting body with no frame. • Desktop made of furniture board gives the cabinet a sophisticated look and allows it to blend in with the existing interior decor.